Draft: 2008, New York Yankees, 50th rd. Married Rachel in October 2011… the couple has a son, Dane Andrew, born on 11/28/13... Graduated from Harvard-Westlake (Calif.) High School and had signed a letter of intent with Brigham Young University... Is a distant relative of former Yankee Bob Turley. Spent the majority of the season with Double-A Trenton, going 11-8 with a 3.88 ERA (139.0IP, 60ER) in 27 appearances (26 starts)… while with the Thunder, held left-handed batters to a .171 (20-for-117, 2HR) batting average, while right-handers hit .248 (99-for-400, 9HR)... Finished the season ranked second among Yankees farmhands in strikeouts (141) and tied for second in wins (11)... In 17 games (16 starts) with Trenton prior to the All-Star break, went 7-5 with a 4.34 ERA (83.0IP, 40ER)… following the break, went 4-3 with a 3.21 ERA (56.0IP, 20ER) in 10 starts... Held the Baysox to just 1H in 6.0IP in 5/18 win vs. Bowie… repeated the feat in 7/25 win at Binghamton (6.0IP, 1H)... Struck out a season-high nine batters in 6/26 win vs. Erie (5.2IP)... Made his Triple-A debut on 5/13 with Scranton/Wilkes-Barre, allowing 2H and 1ER in 6.0IP (3BB, 4K) in a no-decision vs. Gwinnett… was sent back to Trenton on 5/14… was his only appearance with the RailRiders. Spent the majority of the season with Single-A Tampa, going 9-5 with a 2.89 ERA (112.0 IP, 36 ER) and 116 K in 24 games (22 starts)...made one start -- his final appearance of the season -- with Double-A Trenton, allowing 3 ER in 5.0 IP and earning the win...His 10 combined wins on the year tied for third-most among Yankees farmhands, while his 3.00 combined ERA ranked second and his 117 K ranked fifth...Was named to the Florida State League postseason All-Star team...led the FSL in ERA (2.89) and ranked fourth in strikeouts (116)...Held opponents to 4 ER or less in each of his outings and 3 ER or less in all but three...Was credited with his first career shutout on 7/23 vs. Lakeland, allowing just 2 H in 7.0 scoreless innings (1 BB, 9 K) in Game 1 of a doubleheader. Combined to go 4-6 with a 2.81 ERA (89.2 IP, 28 ER) in 17 starts with Single-A Charleston and Single-A Tampa...spent most of the season with the River Dogs, going 4-6 with a 2.51 ERA (82.1 IP, 23 ER) in 15 starts...did not allow an earned run in his final four starts, surrendering just 11 H and striking out 24 batters in 20.0 IP during the stretch...Was promoted to Tampa on 7/2 and made just two starts before suffering a fractured pinkie finger on his left hand on a line-drive comebacker. Went 4-2 with a 3.86 ERA (72.1 IP, 31 ER) in 15 combined games (14 starts) with the GCL Yankees and short-season Single-A Staten Island...Opened the season with the GCL Yankees, allowing 1 ER in 10.2 IP before being promoted to Staten Island on 7/5...made final 12 starts of the season with the SI Yanks...was credited with first career complete game in final outing on 9/2 at Hudson Valley, recording the loss in the first game of a doubleheader (6.0 IP). In his second season with the GCL Yankees, went 2-3 with a 2.82 ERA in 11 games (10 GS). Made his professional debut with the GCL Yankees, going 2-1 with a 1.13 ERA in four games (one start)...allowed just 1 ER in 8.0 IP, striking out 13 batters with no walks. October 4, 2018 Pittsburgh Pirates sent LHP Nik Turley outright to Indianapolis Indians. June 28, 2018 Pittsburgh Pirates placed LHP Nik Turley on the 60-day disabled list. Left elbow sprain. June 28, 2018 Pittsburgh Pirates placed LHP Nik Turley on the 60-day disabled list. January 27, 2018 Pittsburgh Pirates placed LHP Nik Turley on the restricted list. November 27, 2017 LHP Nik Turley assigned to Estrellas Orientales. November 6, 2017 Pittsburgh Pirates claimed LHP Nik Turley off waivers from Minnesota Twins. October 4, 2017 Minnesota Twins activated LHP Nik Turley. October 3, 2017 Minnesota Twins reassigned LHP Nik Turley to the minor leagues. September 1, 2017 Minnesota Twins recalled LHP Nik Turley from Rochester Red Wings. August 22, 2017 Minnesota Twins optioned LHP Nik Turley to Rochester Red Wings. August 17, 2017 Minnesota Twins recalled Nik Turley from Rochester Red Wings. June 23, 2017 Minnesota Twins optioned LHP Nik Turley to Rochester Red Wings. June 11, 2017 Minnesota Twins selected the contract of Nik Turley from Rochester Red Wings. June 6, 2017 LHP Nik Turley assigned to Rochester Red Wings from Chattanooga Lookouts. June 2, 2017 LHP Nik Turley assigned to Chattanooga Lookouts from Rochester Red Wings. May 21, 2017 LHP Nik Turley assigned to Rochester Red Wings from Chattanooga Lookouts. April 28, 2017 LHP Nik Turley assigned to Rochester Red Wings from Chattanooga Lookouts. April 2, 2017 LHP Nik Turley assigned to Chattanooga Lookouts from Rochester Red Wings. March 12, 2017 LHP Nik Turley assigned to Minnesota Twins. December 26, 2016 LHP Nik Turley assigned to Tigres del Licey from Estrellas Orientales. November 21, 2016 LHP Nik Turley assigned to Estrellas Orientales. October 26, 2016 LHP Nik Turley assigned to Rochester Red Wings. October 21, 2016 Minnesota Twins signed free agent LHP Nik Turley to a minor league contract. July 14, 2016 Portland Sea Dogs released LHP Nik Turley. June 26, 2016 LHP Nik Turley assigned to Portland Sea Dogs from Pawtucket Red Sox. June 25, 2016 LHP Nik Turley assigned to Pawtucket Red Sox from Portland Sea Dogs. April 25, 2016 LHP Nik Turley assigned to Portland Sea Dogs from Lowell Spinners. April 12, 2016 LHP Nik Turley assigned to Lowell Spinners. April 3, 2016 Boston Red Sox signed free agent LHP Nik Turley to a minor league contract. 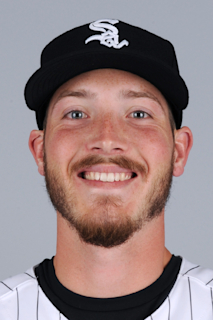 March 28, 2016 Chicago White Sox released LHP Nik Turley. December 2, 2015 LHP Nik Turley assigned to Charlotte Knights. November 24, 2015 Chicago White Sox signed free agent LHP Nik Turley to a minor league contract and invited him to spring training. November 6, 2015 LHP Nik Turley elected free agency. June 1, 2015 LHP Nik Turley assigned to Sacramento River Cats from San Jose Giants. May 25, 2015 LHP Nik Turley assigned to San Jose Giants from Sacramento River Cats. April 16, 2015 Sacramento River Cats placed LHP Nik Turley on the 7-day disabled list retroactive to April 14, 2015. December 7, 2014 LHP Nik Turley assigned to Sacramento River Cats. December 3, 2014 San Francisco Giants signed free agent LHP Nik Turley to a minor league contract and invited him to spring training. September 1, 2014 Scranton/Wilkes-Barre RailRiders activated LHP Nik Turley from the temporarily inactive list. August 28, 2014 Scranton/Wilkes-Barre RailRiders placed LHP Nik Turley on the temporarily inactive list. June 26, 2014 Scranton/Wilkes-Barre RailRiders activated LHP Nik Turley from the 7-day disabled list. June 21, 2014 Scranton/Wilkes-Barre RailRiders sent LHP Nik Turley on a rehab assignment to GCL Yankees1. May 23, 2014 LHP Nik Turley assigned to Scranton/Wilkes-Barre RailRiders from Staten Island Yankees. May 23, 2014 Scranton/Wilkes-Barre RailRiders placed LHP Nik Turley on the 7-day disabled list. May 5, 2014 New York Yankees signed free agent LHP Nik Turley to a minor league contract. May 5, 2014 LHP Nik Turley assigned to Staten Island Yankees. April 26, 2014 New York Yankees released LHP Nik Turley. April 3, 2014 Scranton/Wilkes-Barre RailRiders placed LHP Nik Turley on the 7-day disabled list. March 12, 2014 New York Yankees optioned LHP Nik Turley to Scranton/Wilkes-Barre RailRiders. September 30, 2013 New York Yankees recalled Nik Turley from Trenton Thunder. May 14, 2013 Nik Turley assigned to Trenton Thunder from Scranton/Wilkes-Barre RailRiders. May 13, 2013 Nik Turley assigned to Scranton/Wilkes-Barre RailRiders from Trenton Thunder. March 11, 2013 New York Yankees optioned Nik Turley to Trenton Thunder. November 20, 2012 New York Yankees selected the contract of Nik Turley from Trenton Thunder. September 3, 2012 Nik Turley assigned to Trenton Thunder from Tampa Yankees. June 11, 2012 Nik Turley roster status changed by Tampa Yankees. May 20, 2012 Tampa Yankees placed LHP Nik Turley on the 7-day disabled list retroactive to May 19, 2012. May 12, 2012 Tampa Yankees activated LHP Nik Turley from the 7-day disabled list. May 3, 2012 Tampa Yankees placed LHP Nik Turley on the 7-day disabled list. September 14, 2011 Tampa Yankees activated LHP Nik Turley from the 7-day disabled list. July 14, 2011 Tampa Yankees placed LHP Nik Turley on the 7-day disabled list retroactive to July 12, 2011. June 28, 2011 LHP Nik Turley assigned to Tampa Yankees from Charleston RiverDogs. April 4, 2011 Nik Turley assigned to Charleston RiverDogs from Staten Island Yankees. July 5, 2010 Nik Turley assigned to Staten Island Yankees from GCL Yankees.